Media Accreditation is now closed. Applications must be received by Friday, 19 February 2018. Before you send in your request for media credentials, please read the important information below. 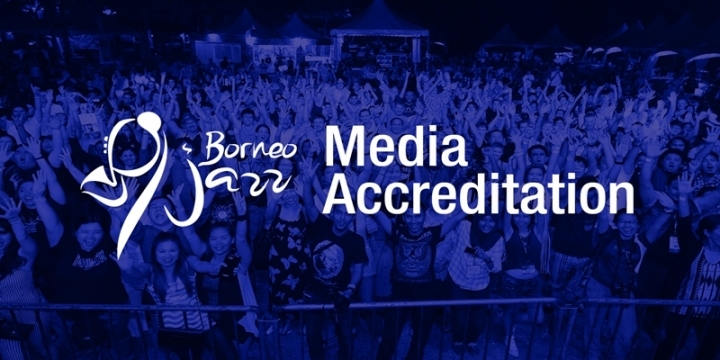 During the Borneo Jazz (BJ), the Media Centre will organize media briefings, launching, interview, photo opportunities and tours for the media and to facilitate the performers’ press conference. All media will require official accreditation pass to attend the events listed. Accredited media will be entitled to a complimentary entry and free access to Festival’s Media Centre. This credential DOES NOT include accommodation, flights and transfer arrangement at the festival. Royal Brunei Airlines (destination Bandar Seri Begawan, distance 2hrs 30mins by Taxi to Miri, Sarawak. Bus available). Accommodation listing (International – Budget) for Miri city available in Miri Guide Book or Sarawak Tourism Board.